A little bit of Brazil in Dublin! One of the best dining experiences, recommended to me by my Brazilian friend. It was quiet, romantic and classy with great food great staff the staff couldn’t do enough for us nothing was too much and they gave excellent recommendations in terms of GF menu choices. Its pricy but worth every penny. We spent hours there and enjoyed every bit of the 7 Course tasting Menu which is a must if you are going to Sabor and best of all it comes with 3 complimentary drinks! So now all you need to know is where to find it: 50 Pleasants Street off Camden Street, Dublin 8. Opium is definitely my guilty pleasure. 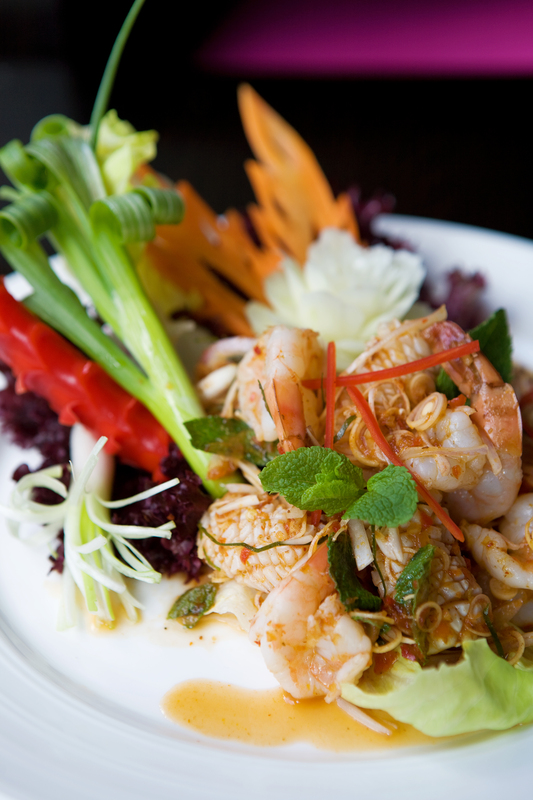 It is a modern Thai/Vietnamese restaurant at 26 Wexford Street, Dublin 2 with a mouth-watering menu. 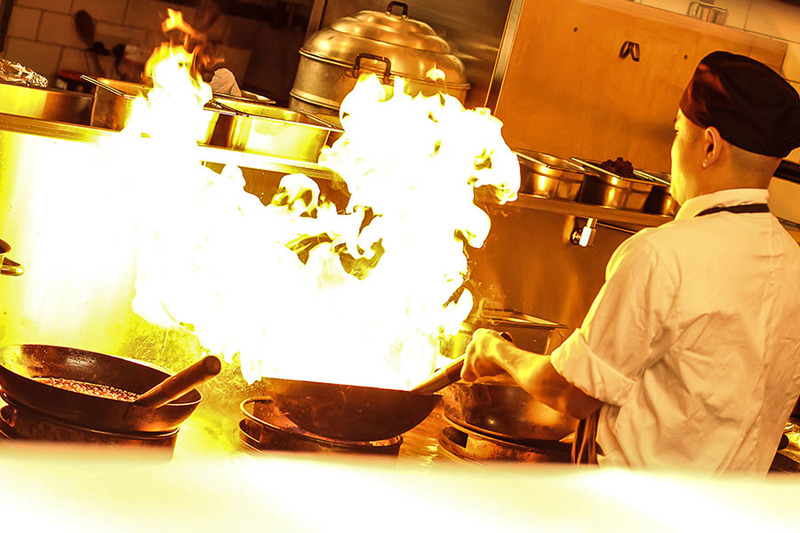 At the heart of Opium is the open kitchen, a dramatic culinary theatre with a team of accomplished chefs. I was completely blown away by the food here. A real diamond. The staff are great, they really know gluten free. 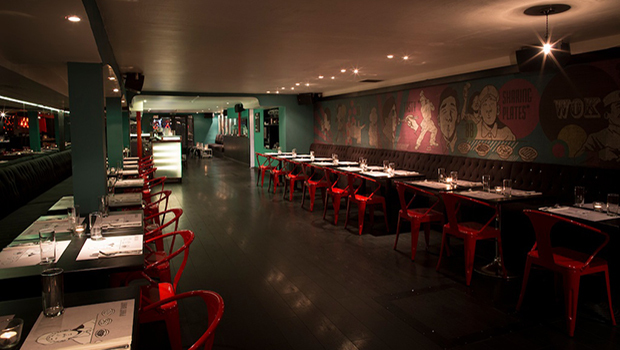 The food is amazing and the atmosphere is dark and seductive. 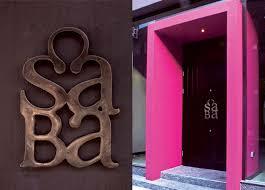 Saba is a tasty Thai and Vietnamese Restaurant on Clarendon Street, Dublin 2. Saba, which means “Happy meeting place” and that’s what it is. I have been there many times, the last time with work, we had a large group so we waited at the bar for the late arrivals and of course it was an excuse to test out their wonderful award winning cocktails!! 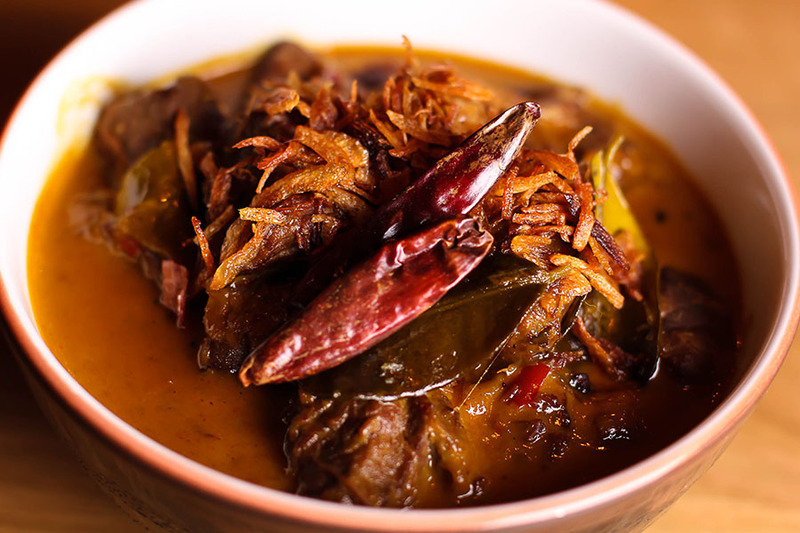 Their menu offers a great selection of fresh veg, fish, chicken, duck and beef options. I particularly liked the sea bass cooked in banana leaf and their monkfish green curry is absolutely scrumptious! They offer beautifully presented starter platters to share. 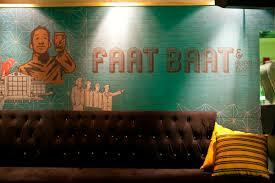 A real dining experience and they pay really good attention to dietary requirements so no worries there. 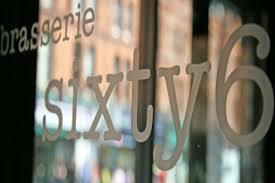 Brasserie Sixty6 food is great a real family friendly place. 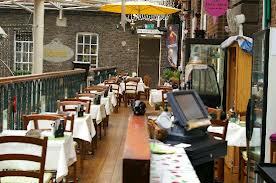 Located at 66-67 South Great Georges Street, Dublin 2. 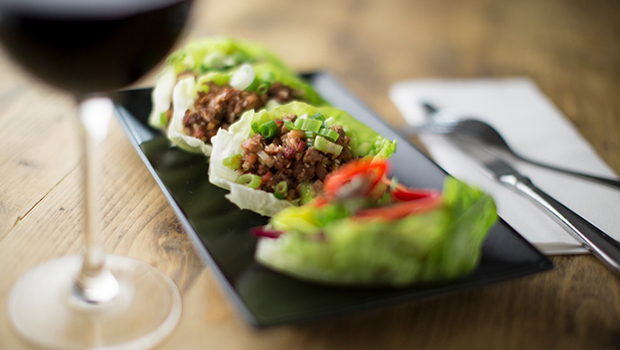 Their menu offers you a choice of CA Coeliac adaptable options and C marks the gluten free so it allows for more choice for anyone who hates the difficult conversation with the waiting staff about your GF options, this is perfect! 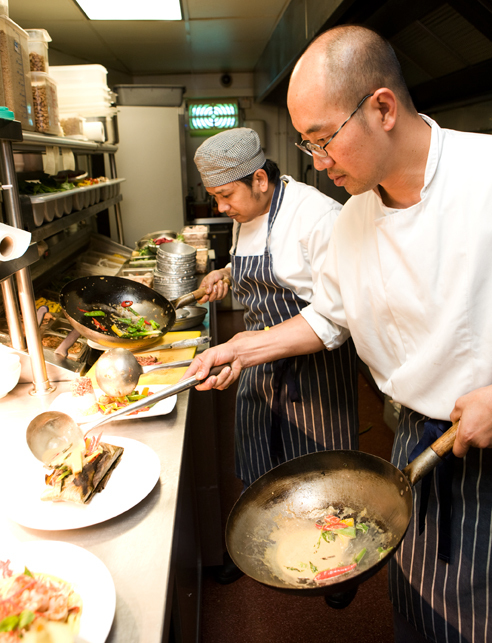 All their food is cooked to order and their ingredients are sourced locally. They have a vast array of spirits and do nice cocktails too! Enticed by images my friend put up on Instagram I just had to visit! And it didn’t disappoint. It’s real fun place to have brunch with friends, awakening the senses walking through the door with the smell of good healthy food, strong coffee and unique artwork, quirky furniture and hearing people chatting away. The food is organic, local and simply gorgeous with a choice of salads, falafel, eggs, sandwiches, soups. 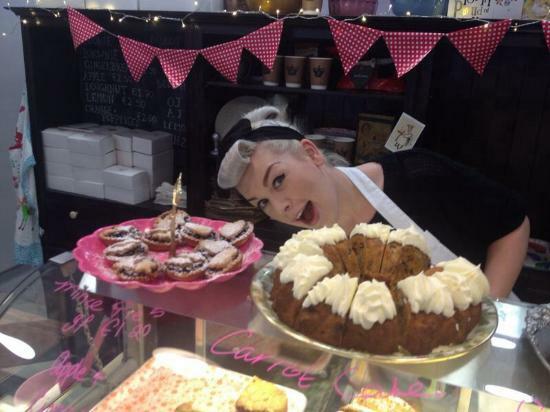 The staff are friendly and they have a share-a-table ethos. But it works. You order your food, pay for it, take the lettered wooden block to your table and shortly afterwards the food is brought to you. 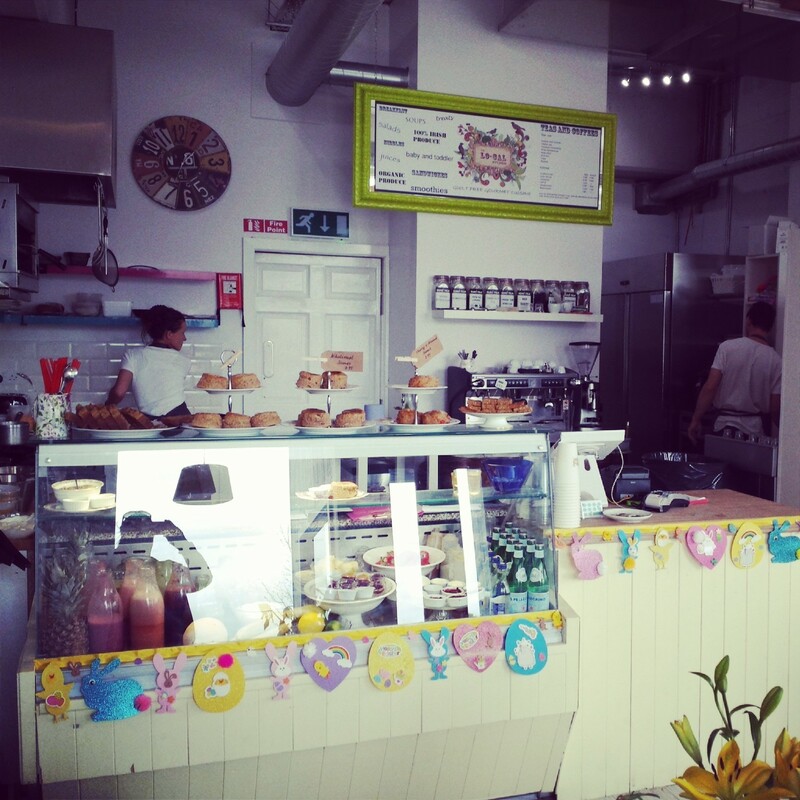 A real funky place in Fumbally Lane, Dublin 8! 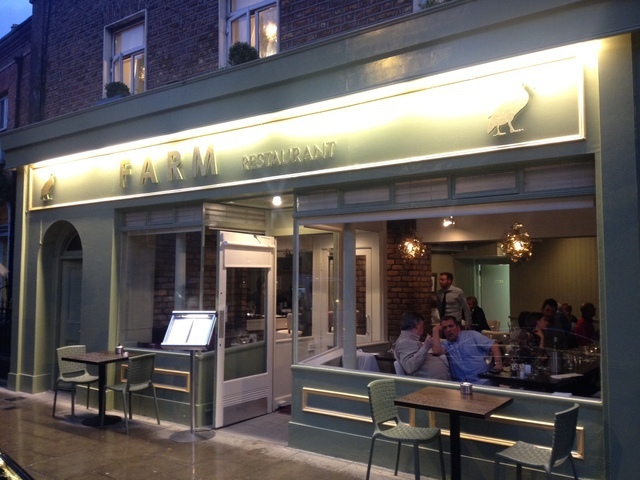 The Farm was one of my first favourite gluten free restaurants when I was working in town on a regular basis. The staff were so nice and the menus are clearly marked GF. They produce some yummy food, which was a welcome change to my confused ramble around town in search of something that tasted good. 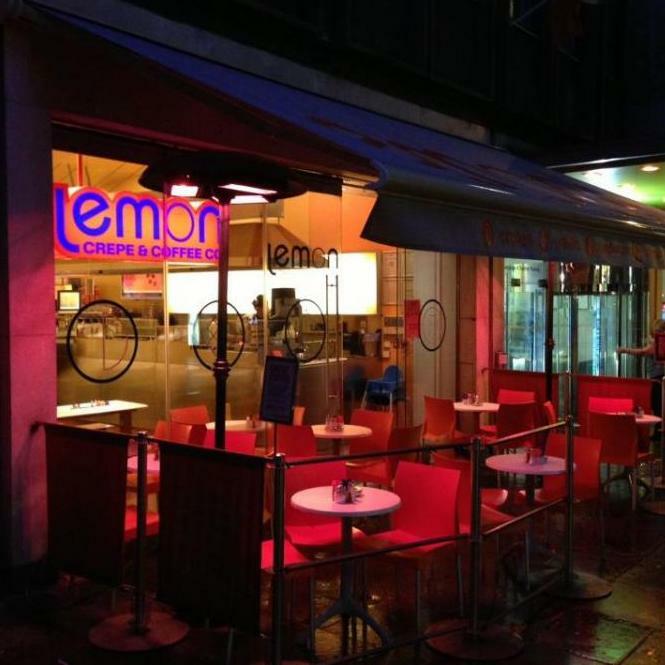 They have two branches, one on Dawson Street and the other on Leeson Street. I’ve eaten in both and found them to be great with the gluten free. Situated at top of the wide stairs on the second floor balcony of Powerscourt Townhouse in South William Street, Dublin 2. 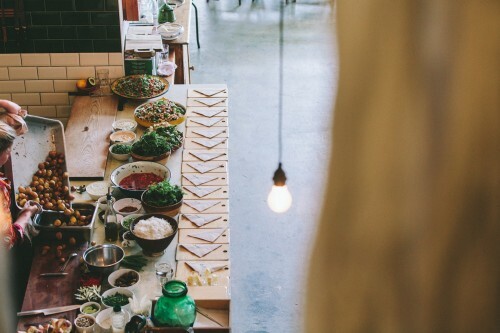 The food coming from this small kitchen is of the highest standard. The menu is typically Italian with antipasti that include salads, bruschetta, vegetarian quiche and chef’s special quiche. Mains offer a range of pastas and pizzas. Terrazzo Italia is earning a reputation for its gluten-free food and most recipes can be changed to suit the customer’s dietary requirements. The service is warm and friendly and, together with flavoursome, unpretentious food and that special Italian ambience, this is a place worth climbing the stairs for. As you sit on the balcony, you’ll get a birds-eye view of the centre, particularly the hustle and bustle downstairs. You may even be lucky enough to hear and see the pianist on the ground floor, playing familiar pieces on the grand piano. A little gem hidden away in the heart of Donnybrook, Dublin 4. 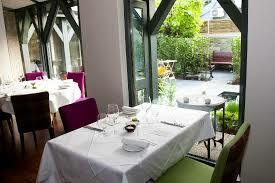 A modern restaurant, beautiful outside courtyard with log fire and heaters. Their tasting Menu showcased the best of Irish produce and seasonal ingredients. I love that fact you only have a choice of 2 items for each course. The chefs develop an original menu each week offering a choice of two starters, one meat or fish main course and a desert or cheese board. It’s kinda pricey but sometimes nice to explore new places for that special occasion and enjoy quality food in a beautiful atmosphere. 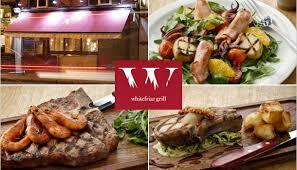 A French, Irish Brasserie/Grill conveniently located at 16 Aungier Street, Dublin 2. The service is quite good and the simple decorations with the view into the kitchen makes it a wonderful spot. I went early and ordered from the early bird menu one of the 3 course meals, it was amazing value for money. 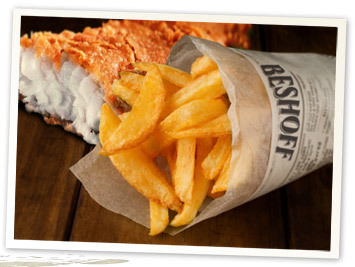 Good quality food, the servings are massive, made-to-order and delicious. The staff were courteous and personable. Who knew Ireland knew good BBQ! 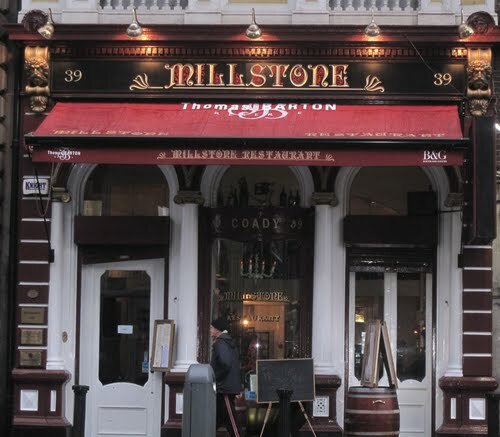 The Millstone on 39 Dame Street have been around for years doing exactly what they do best, gluten free and tasty food. 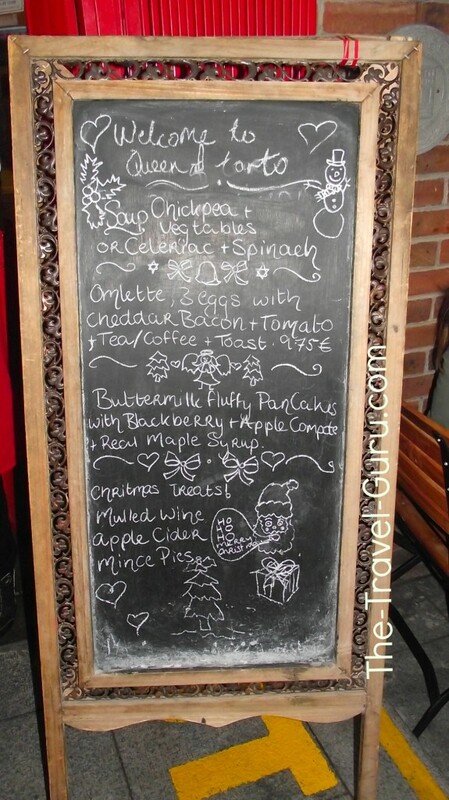 It is one of my favourite places for breakfast, lunch, and dinner. 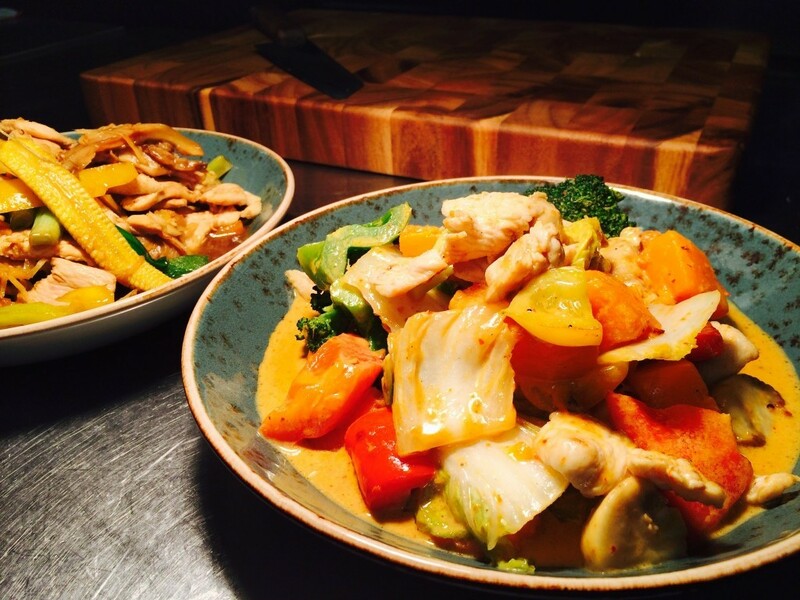 Make sure and ask for the gluten free menu when you get in and you’ll be delighted with the variety. Best of all they bake their own gluten free bread! FAAT BAAT, Pan-Asian cuisine located in the basement of 35 Dawson Street, is new to the scene as they only opened in late 2013, but they were amazing with the gluten free food. Nearly the whole menu can be made gluten free. In fact, all the mains on their current early bird menu are gluten free. On top of the food they’ve a cool, funky atmosphere and some tasty cocktails. 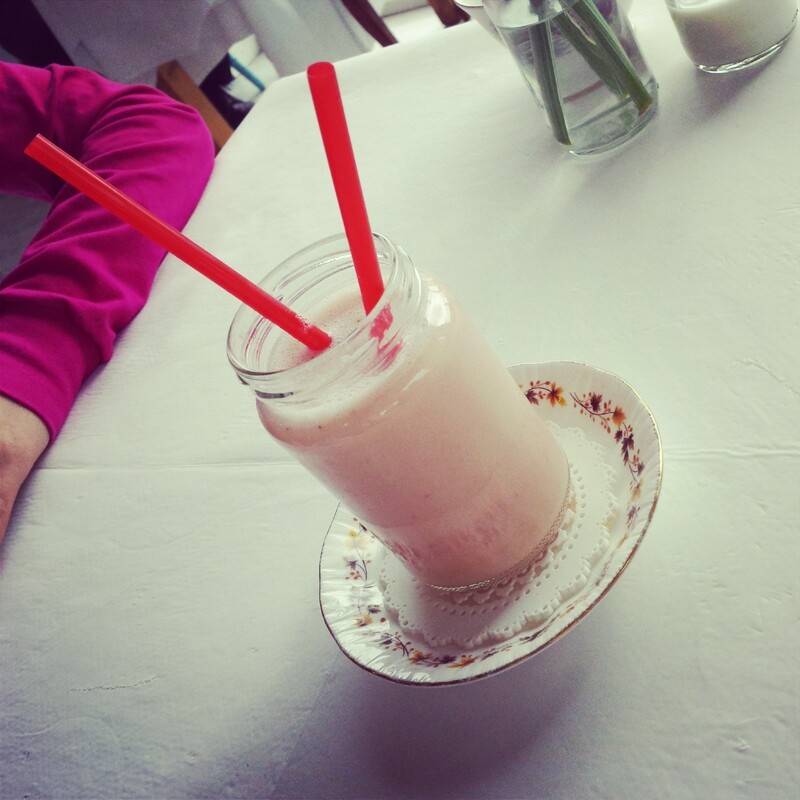 Bunsen at 36 Wexford Street, Dublin 2 offers one of the most wonderful melt in the mouth burgers and they are gluten free! 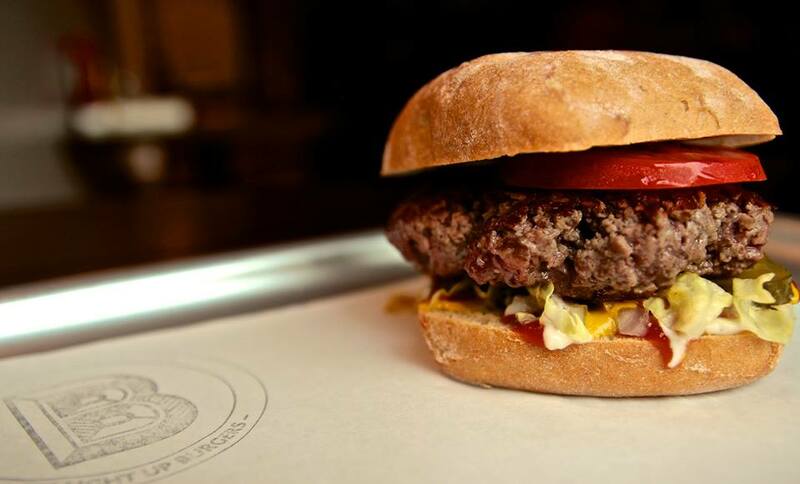 The burgers are made in house and are made with only beef, salt, and pepper. They keep stock of gluten free buns which are 50c extra, however their buns are soft and tasty and well worth it! I have it on good authority that Ely Bar also do a mean GF Burger! 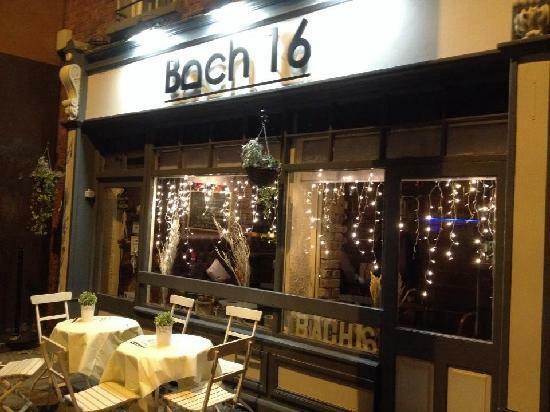 Bach 16 is a great little tapa’s café and wine bar with an excellent location right by the river at 16 Bachelors walk. It is small and well attended by the staff, the food was fresh and well prepared. I can’t speak highly enough of it. 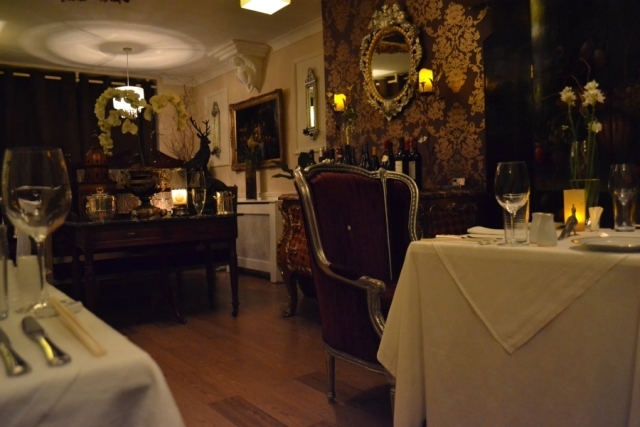 Relaxed and laid back atmosphere and great value for money. 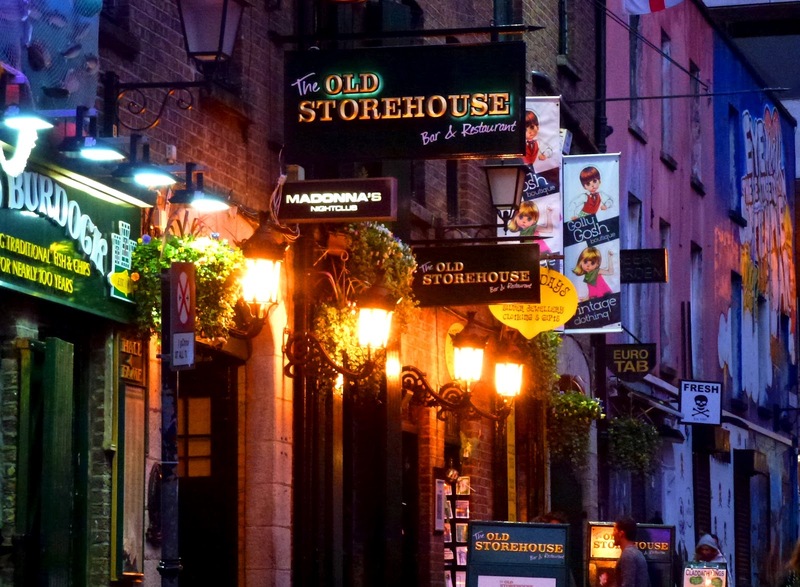 The Old Storehouse is lively with traditional Irish music, in Crown Alley the heart of Temple Bar. This place certainly didn’t disappoint! We went as a large group and had both drinks and food. The food was really tasty and the portion sizes were generous, great flavour, reasonably priced. Loved the mussels a real favourite of mine! They have gluten free battered fish and chips! Can you believe it!! I had to check it out when I first heard about it. When you order gluten free they prep in separate oil and there’s no flour in their batter. 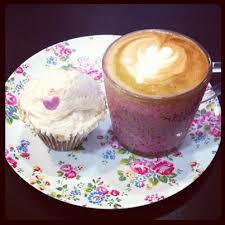 Definitely worth a visit for a weekend treat, or a hangover cure! Sure why not!! Milanos have gluten free pizza! You heard me people, pizza, with a lovely thin base. It’s only available in one size. 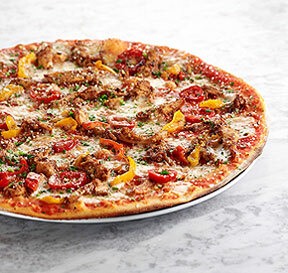 I’ve tried gluten free pizza in a lot of restaurants and was disappointed, but I continuously return to Milanos because it’s tasty and handy in terms of locations dotted around Dublin and the thin base means less calories..that’s what I tell myself anyway mmm. 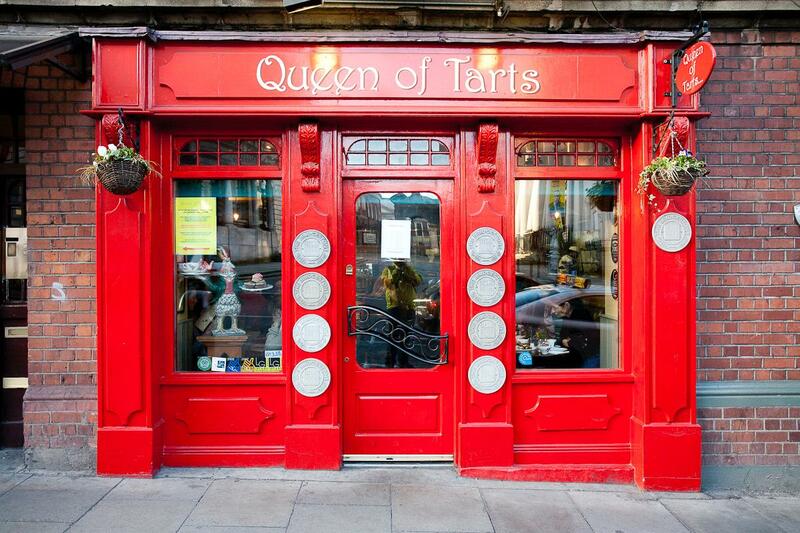 A lovely place on Cow’s Lane for years, The original Queen of Tarts is just around the corner and is equally good, but smaller. 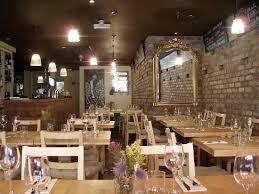 It promises fresh food, great atmosphere. A really wonderful breakfast with all fresh ingredients. The original is a tiny place – maybe 8 or 10 small tables. Reasonable prices. A nice place to have a cuppa and relax. 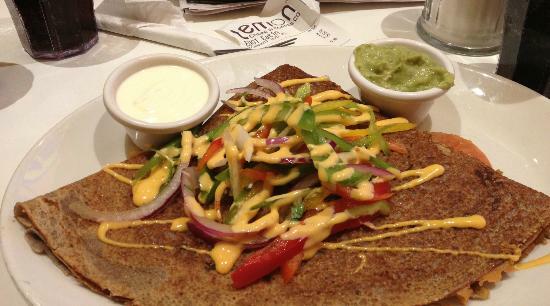 20.Lemon Crepe and Coffee Co.
A modern and funky French Cafe and Creperie. 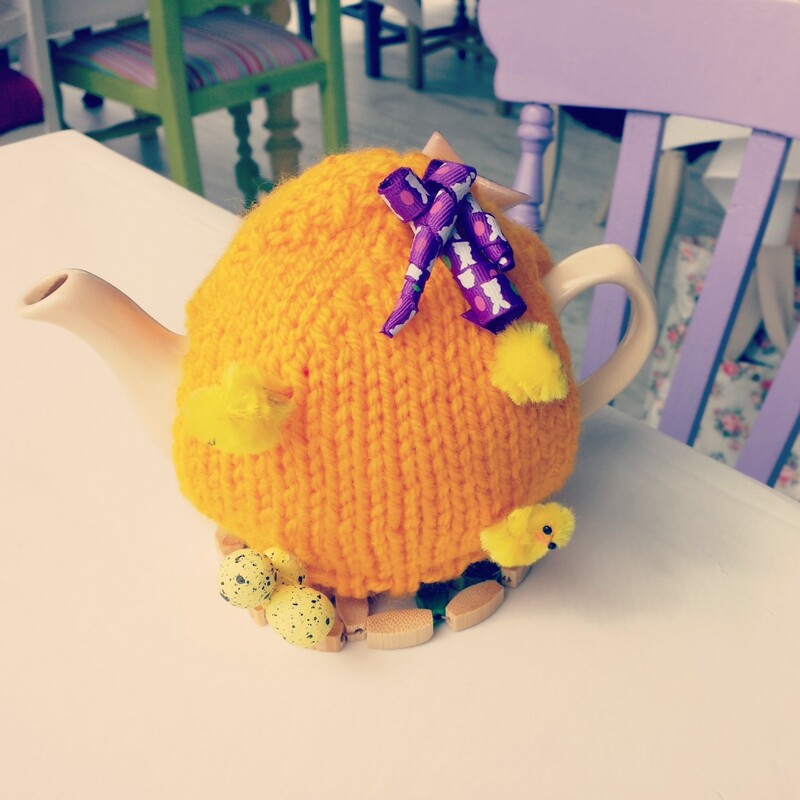 Ideally located on 66 South William Street & 61 Dawson Street so handy when you’re out shopping and you just fancy a treat to keep you going! 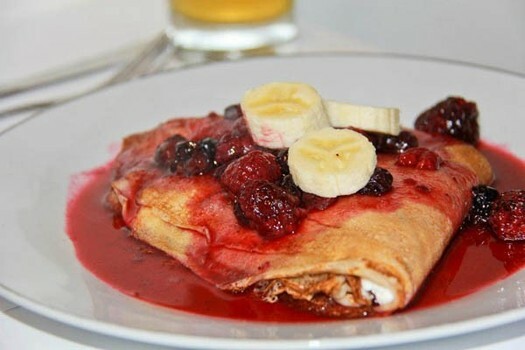 A place I have been many times, their gluten free crepe is incredible, I’ve always found staff to be very generous with the fillings and the staff was very knowledgeable about working with allergies. They offer both sweet and savoury options but I always order the same, a traditional with Maple syrup and lemon and a coffee and my friend who is a vegetarian ordered a vegetarian crepe. 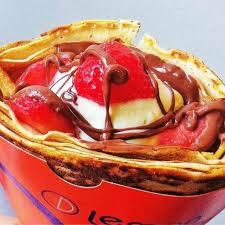 You can see them making them fresh on the spot and have a nose as to what other people are ordering like this girl who ordered a southwest-style crepe, a strawberry/Belgian chocolate yummy creation and a guy who ordered bacon and maple syrup, an odd combo but some people love it! It is all packed in a little pouch you can hold and you can sit in, or outside if there is a table free. If the sun is shining I bring it with me and lay out on the grass in Stephens green. There are lots of great restaurants to choose from in Dublin but I couldn’t choose them all so I just chose the ones I like to go to. 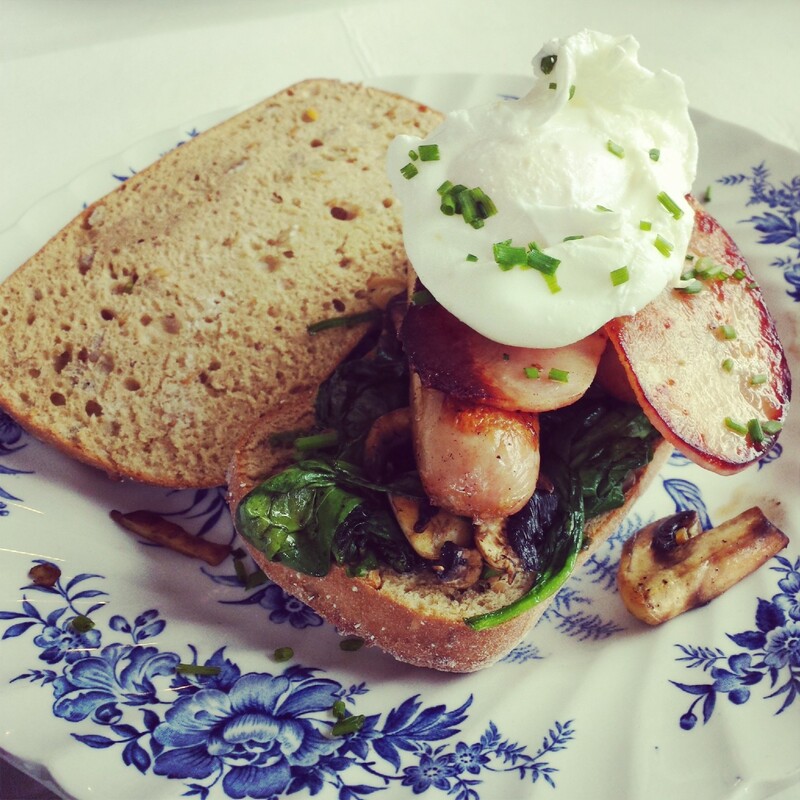 Blue in Skerries & The Bloody Stream in Howth and the Ely Bar were my three of my favourite restaurants to go to before I became Gluten Intolerant…so they are next on my list for review, let’s hope they offer a good GF service! Other restaurants that offer Gluten Free which I have yet to sample their GF offerings include: Fire, DAX Douglas and Kaldi Fallon & Byrne, Carluccio’s, Jaipur Manifesto, Manifestino, Pitt Bro’s, Red Torch, Ginger Roly’s in Ballsbridge, Rustic Stone, The Kitchen, The Port House, Yamamori, The Vintage Kitchen, Corfu Greek Restaurant, Chameleon Restaurant, Brother Hubbard and Nando’s. I’m sure the list will get longer as restaurants are starting to become more allergy aware. Donnybrook Fair is a good place to go for a on the go bite to take out, I particularly like their salmon salad and it’s reasonably priced too! I hope that I have given you guys enough food for thought and I hope you enjoy checking out some of my favourite places!